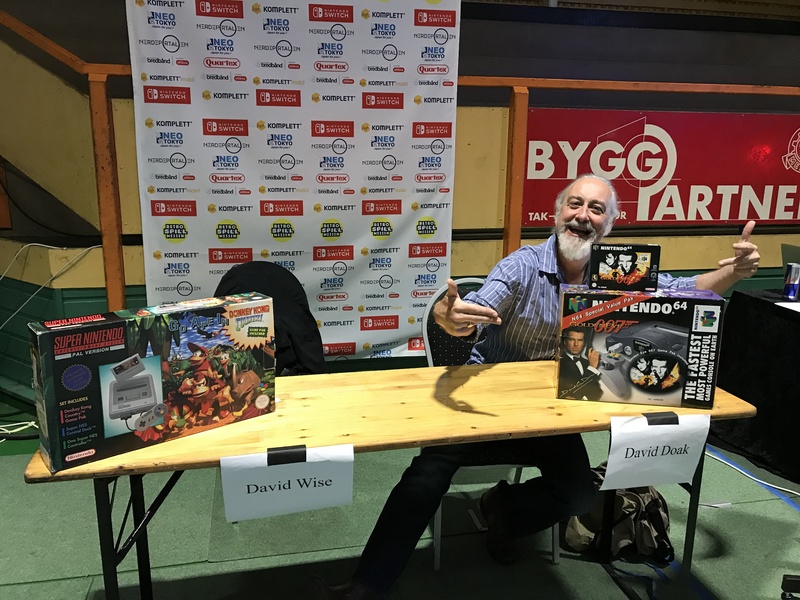 So among the many reputable guests at Retrospillmessen 2017, were the very distinguished Dr David Doak of N64 Goldeneye Fame and the Multi Platform Time-Splitters Series. 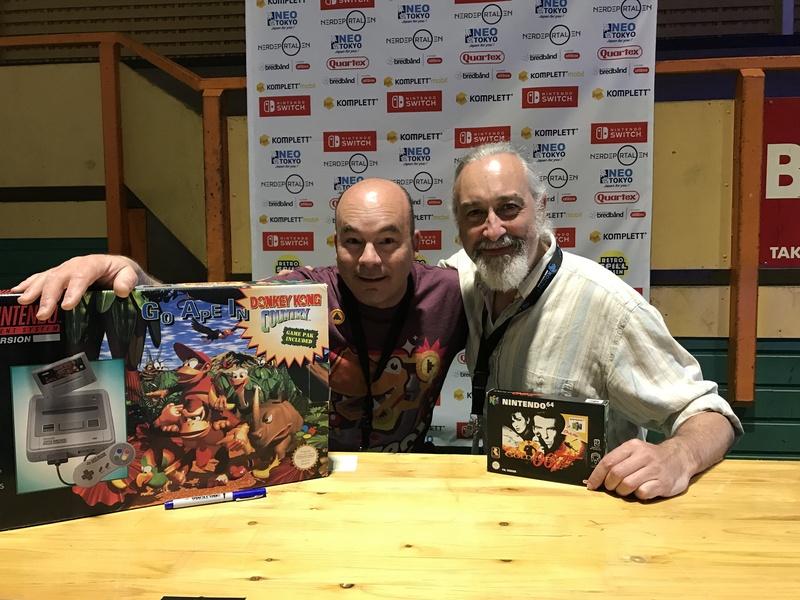 Then of course we have The Completionist – who I’m sure you’ve all seen on Youtube. 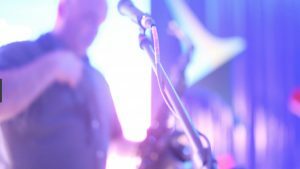 I was there as a guest to play my sax on a number during the evening entertainment – and loiter around a desk on the show floor during the day, that I shared with Mr Doak. 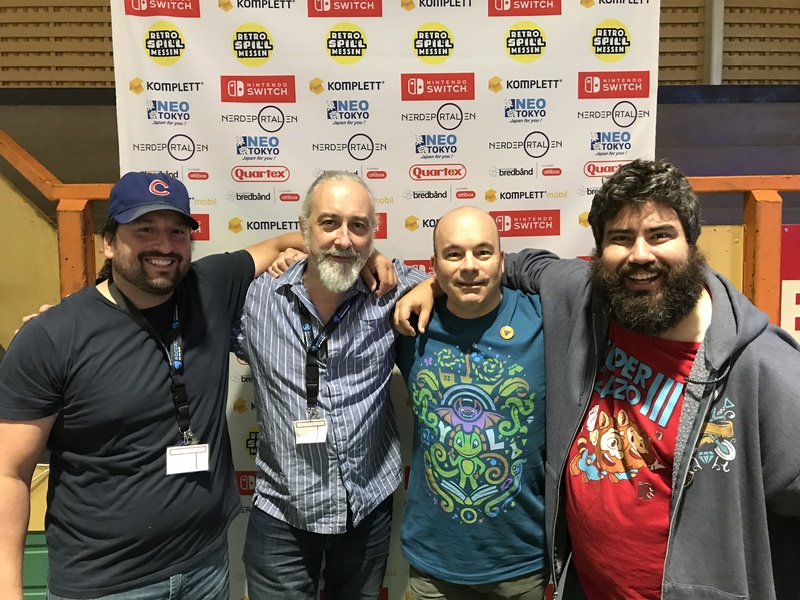 It was one of my first conferences – and to say the least it was a huge learning curve. As you’ll see in later posts – I’ve since learned how to dress a stand. We had to improvise – and borrow ‘stuff’ from other stands at the show. I found a SNES Donkey Kong Country box that was Huge. A great way to Big It Up. For around an hour I almost felt superior – until Mr Doak found an even bigger Golden-Eye Box. 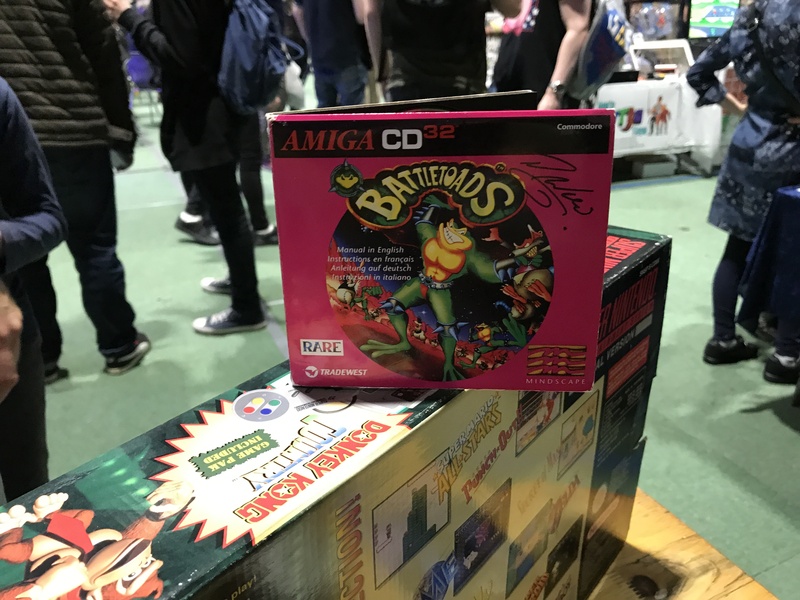 I later happened upon an Amiga Battletoads game – who’d have thought? 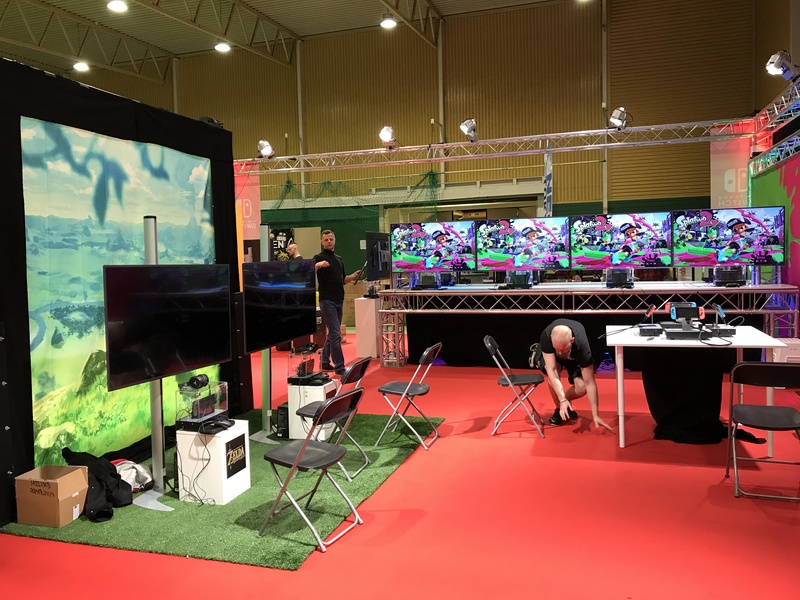 And Nintendo Europe bought along a very impressive show floor stand to show off their SWITCH console – which is really doing very well.